Along with the plays of William Shakespeare and the works of Charles Dickens, Jane Austen's novels are among the most beloved books of Western literature. Pride and Prejudice (1813) was in Austen's lifetime her most popular novel, and it was the author's personal favorite. Adapted many times to the screen and stage, and the inspiration for numerous imitations, it remains today her most widely read book. 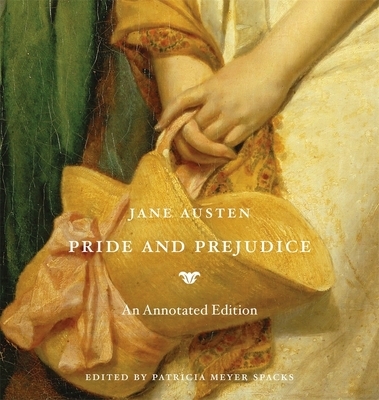 Now, in this beautifully illustrated and annotated edition, distinguished scholar Patricia Meyer Spacks instructs the reader in a larger appreciation of the novel's enduring pleasures and provides analysis of Darcy, Elizabeth Bennet, Lady Catherine, and all the characters who inhabit the world of Pride and Prejudice. This edition will be treasured by specialists and first-time readers, and especially by devoted Austen fans who think of themselves as Friends of Jane. In her Introduction, Spacks considers Austen's life and career, the continuing appeal of Pride and Prejudice, and its power as a stimulus for fantasy (Maureen Dowd, writing in The New York Times, can hold forth at length on Obama as a Darcy-figure, knowing full well her readers will "understand that she wished to suggest glamour and sexiness"). Her Introduction also explores the value and art of literary annotation. In her running commentary on the novel, she provides notes on literary and historical contexts, allusions, and language likely to cause difficulty to modern readers. She offers interpretation and analysis, always with the wisdom, humor, and light touch of an experienced and sensitive teacher.